On to Part 3! Be sure to check out Part 1 and Part 2 if you've missed them! Let's be honest Nina Ultra Pro is a brand we skip over at Sallys. I did take a second glance at the brand when I saw Cobalt, what an amazing surprise this polish was. This a bright cobalt blue jelly. Did I mention cobalt is my favorite color? I live for blues like this! Check out my full review here. Every Month is Oktoberfest I'm sure has become a favorite among many. 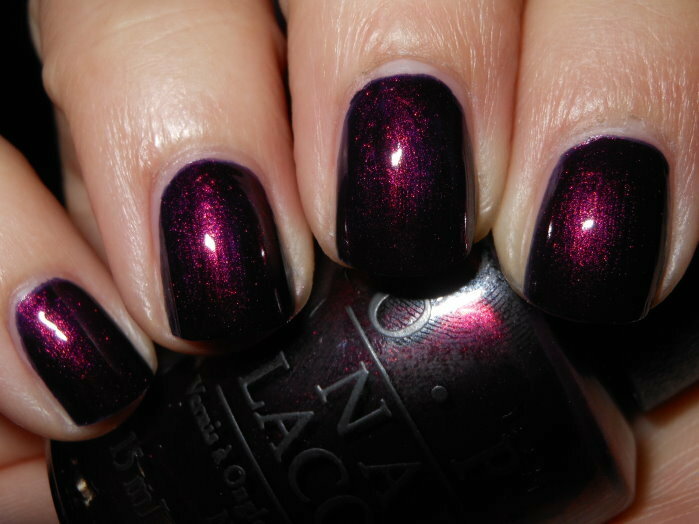 This deep vampy shade with that beautiful glowing shimmer is stunning. I had no idea what we were in for with this polish with those stinky promo images OPI puts out. This polish is breathtaking. Check out my full review here. Coastal Surf was a summer favorite polish for me. I love this bright creamy light blue creme. This is the perfect shade between a pastel and a medium blue, and I adored the formula. This is just one of those colors that makes you happy too. Check out my full review here. Hail to the Pink became one of my favorites for 2 reasons. 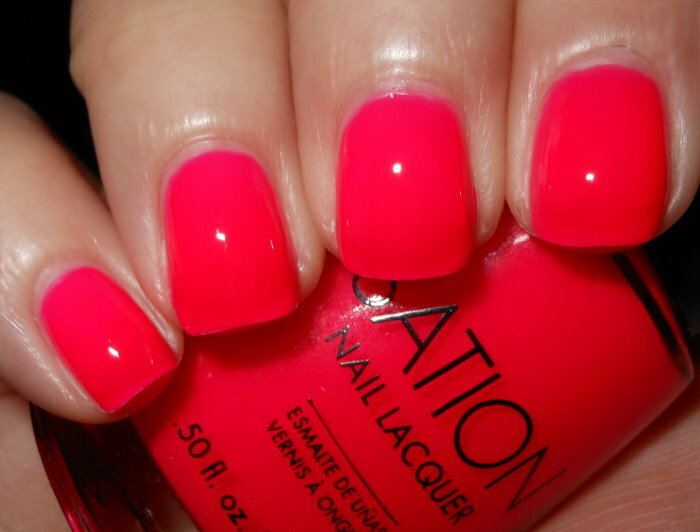 One reason is it's a jelly neon pink shade! I love jelly neon polishes. The second reason is the formulation on this was amazing. Neons can be known to be streaky and have tricky formula. Hail to the Pink's formula was awesome, it applied evenly and smoothly in 3 coats. Check out my full review here. Adella was a color I typically do not purchase ever. I usually steer clear from green-yellow shades, but I loved this one. 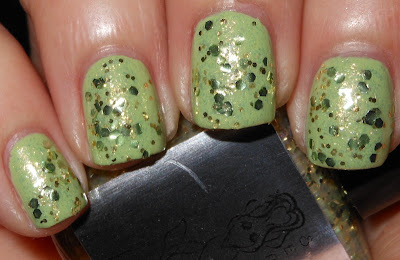 I love the combination of colors, glitters, and that micro golden shimmer. I wore this polish a lot this summer, and found it very flattering. Check out my full review here. Stay tuned for Part 4 tomorrow! oooh i love cobalt blue, too. i will have to look for that nina the next time i go to sallys. and i still need to get oktoberfest. those shimmery, glowy colors always do me in. 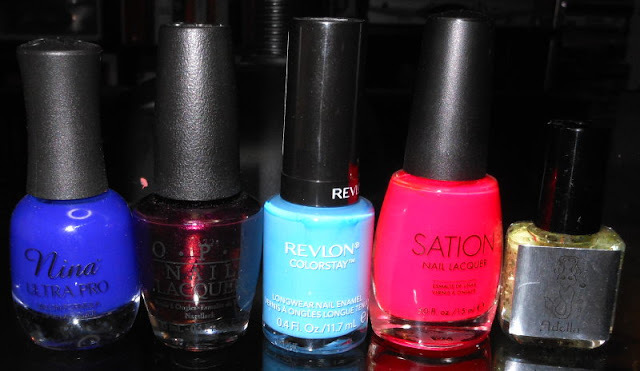 Some good picks - I also fell for a lot of the Revlon Color Stay polishes when they re-invented and re-release the line. I cannot wear pastel blues (love em but they make me look like I have lobster hands)...this is a good one and surprised me that it was not a dupe for any I had out of 2 China Glaze lines (Electropop and whatever the one was similar to Eletropop only released in Jan 2011 and not 12). I have to pick up this Nina Ultra Pro shade - it's stunning. 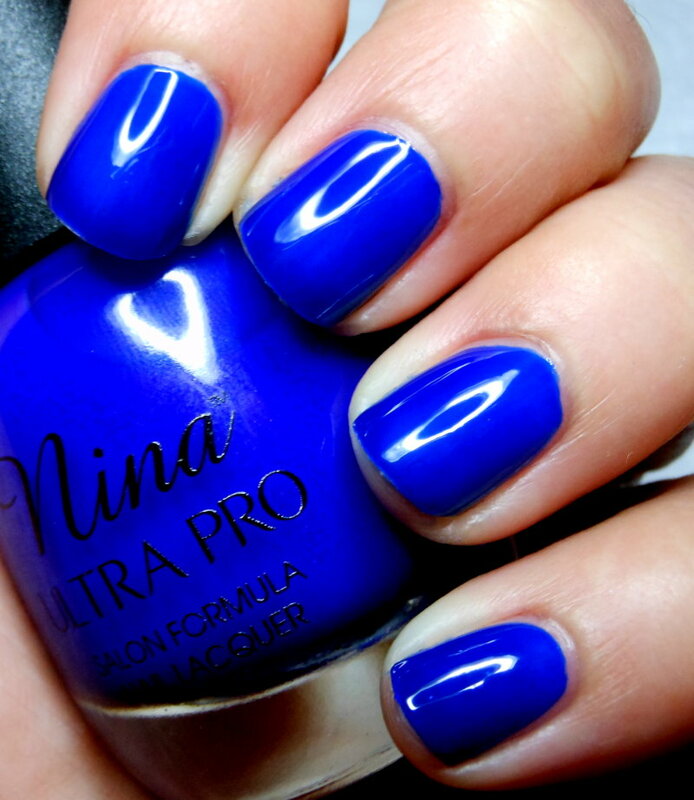 Wow...I'm sure I've seen Nina Ultra Pro Cobalt a zillion times, but it just went on my wishlist! Gotta pick that one up next time I'm at Sally's!! Great picks!! I have to say that I was bored by the Germany collection until I saw several pictures of Every Month Is Oktoberfest and Germanicure.... GORGEOUS! Oh yes, Every Month is Oktoberfest ♥.